Added drape is an excellent way to create a grand decor element that makes a statement and draws the eye. 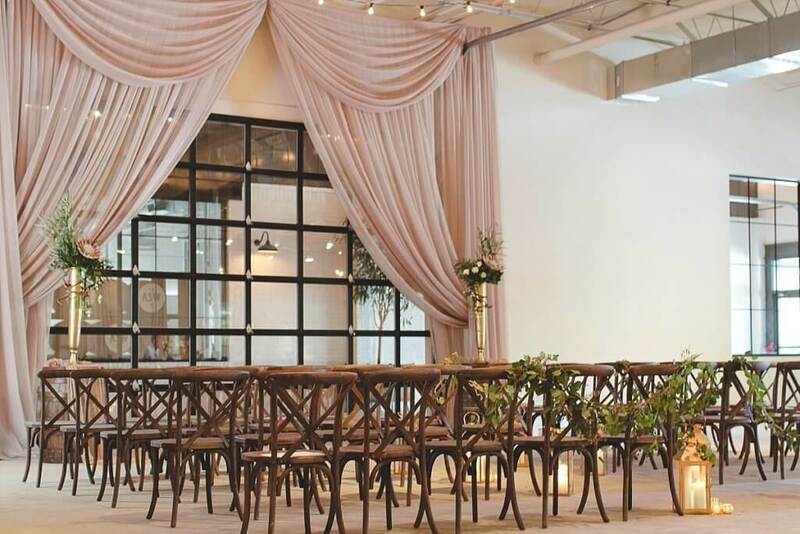 One of the many great features of The Stave Room at American Spirit Works is their expansive garage door looking into the open air breezeway that serves as the perfect backdrop for the wedding ceremony. Even the greatest design features can use a little extra softness though which is why we worked with Unique Event Elements to transform the space into a dream altar! Using their mocha sheer drape, this talented Atlanta team covered all the mechanics of the working door in a beautiful and elegant fashion! The options are endless for what they can do with drapery but we happen to love how this look turned out the most!